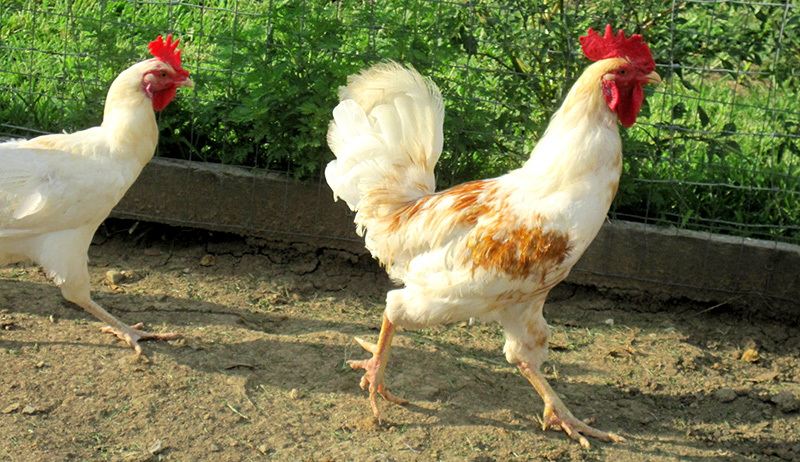 With some simple tools, you can allow your backyard chickens to forage freely without risking damage to your garden. Chickens will destroy your lawn. They’ll move mulch from where you want it to where you don’t want it. And they’ll poop all over your patios, decks, and outdoor chairs and benches. 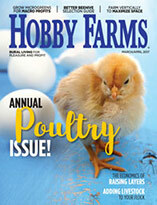 How do you encourage the health of your flock while at the same time creating some semblance of order in your backyard? A natural area separated from your gardens by a fence is perfect for foraging chickens if you have the room. My wife and I, fed up with the amount of destruction our three hens were accomplishing throughout our lawn, flowerbeds and hardscape, decided to sequester them to an area in the center of the yard composed of ornamental and fragrant shrubs. Large plantings of established shrubs and ornamental trees can withstand foraging, so even if you don’t have an open area for them to roam, look for spots with these kinds of plantings. With a location selected and the roots protected, I needed a quick, inexpensive way to corral the birds without disrupting the ambiance of the yard. A conventional fence with gate and posts would have been expensive and time-consuming to build, and a prefabricated electric fence wouldn’t be cheap either, not to mention that the white strands would be an eyesore for my urban residence. Because a 4-foot chain-link fence already encloses our yard, I didn’t need something strong enough to keep out stray dogs—just something stable. I settled on using a couple rolls of 3-by-50-foot welded wire, coated with black vinyl, called “dog fencing” in town or “hog fencing” in the country. The material is long lasting but inexpensive, costing less than $1 per linear foot, and it’s nearly invisible. Black objects reflect very little light, so they don’t catch your eye from a distance. This fencing has 2-by-4-inch openings. Using a few designer tricks, I installed it in a couple hours without posts or a gate. This low-tech, low-cost, easy-build enclosure is simple to replicate in any chicken yard. Use a metal-cutting blade on a circular saw to remove the lowest strand of horizontal wire from the fence while it’s still rolled up. This exposes prongs at the bottom of the fence that can be pushed into moist soil and to hold up the fence. It also shortens the fence by 4 inches, making it easier to step inside the enclosure. Roll the fence out on the ground and use a heavy object to keep it from rolling back. Every foot or so, use pliers to snip out a couple of strands near the bottom of the fence, and bend them out of the way. This makes a place to insert your foot and press the prongs into the ground. Not every prong will go straight into the ground, but if enough go in, the section of fence will stand on its own. Using needle-nose pliers, cut the fence into manageable 4-foot-long sections. This length makes it easier to accommodate any slopes in the yard. Wrap the exposed prongs on one edge of each section around the adjacent fencing to stiffen the enclosure and preclude escapes. 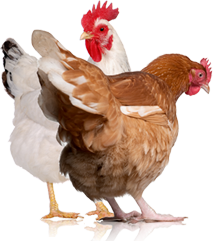 In the open, chickens could fly over a fence that’s only 3 feet high, but by running the fencing along the outer drip line of the shrubs, their branches create a “no-fly-zone” along the top of the fencing. The shrubs also keep predatory hawks at bay. To be extra safe, we clip the outer feathers on one wing of each bird annually so they don’t want to fly anyway. 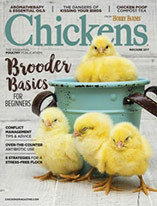 This article originally appeared in the March/April 2016 issue of Chickens magazine.